Cirque du Soleil is thrilled to return to Ontario with its coolest arena show yet—CRYSTAL. 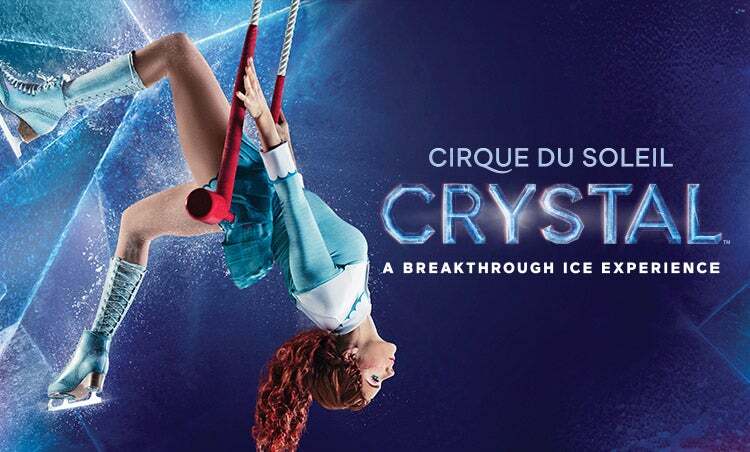 This unique arena production—Cirque du Soleil’s first-ever experience on ice— showcases synchronized, freestyle and extreme skating alongside circus disciplines such as swinging trapeze, aerial straps and hand-to-hand. CRYSTAL will perform at Ontario’s Citizens Business Bank Arena from Wednesday, March 13 through Sunday, March 17 for seven performances only. Sunday, March 17 at 1:30 p.m. and 4 p.m. Photography and Video recording of any kind is strictly prohibited during the live performances.